Not long ago I reported reading another book by Ulrich Lehner, which was actually a by-product of this his book from 2011, his prior or principal work on the general topic of monastic discipline in the face of disobedience, controversy, madness or crime. As reported then the later book from 2013 is entitled: Monastic Prisons and Torture Chambers. The present volume was intended for my summer reading (not available on Kindle), but because of one thing or another, I ended up carrying the slim volume back with me. I just finished reading it. While this book is not for everyone (ecclesiastical history relating to 18th century German monks), I found it terribly interesting and informative on many accounts. It opened up new vistas for me, not only in terms of the history of thought, but also concerning the why and wherefore of the disappearance of so many monastic communities back then in lands where I have spent most of my professional life. Proceeding by topic, new lifestyles, new liberties, new philosophies and theologies, et al. Ulrich chronicles the tragic lives of many enlightened monks in German speaking central Europe over the time period. He does so with profound respect for all these men who were more often than not their abbots' nightmares, for their pride, their hysterics, and in some cases even for their crimes. I cannot blame Lehner for my reading of his work. I have concluded that the Enlightenment was little better than anthrax poisoning for monasticism. The Catholic Enlightenment is little more than a repetition in a new century (the 18th) of the iconoclastic proposals of the two prior reformation centuries with a pitiable admixture of slogans from the French revolution. It involved petty demands to suppress the tonsure which marked their consecration and trade the venerable old habit for the dandy dress of their contemporaries. 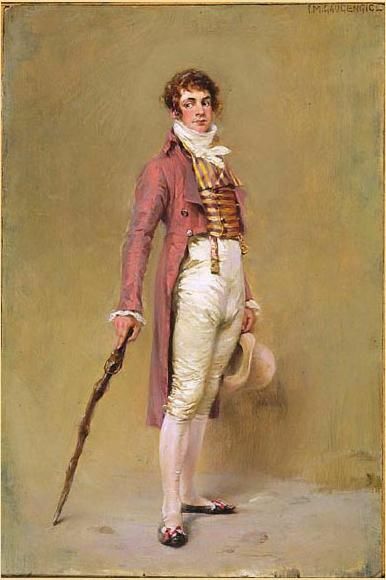 The obligations of choir, especially the night office, were opposed as an impediment to study, travel and scientific work, to be furthered by social exchanges at dinners in mixed company and by frequenting the theater. 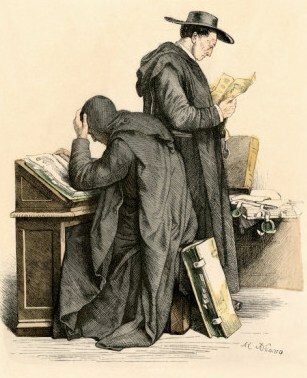 I can see now that the secularization movement, à la Joseph II Hapsburg and his like in Bavaria and elsewhere, which paved roads with monastic library materials and sought to abolish the monastic vocation as unproductive, found allies in these monastic illuminati and their like for their anti-Catholicism. In his conclusions, Ulrich Lehner notes the Catholic Enlightenment as a casualty of secularization (cf. page 227). Closer to the point might be that these prideful monsters, impressed with their own genius and bent on dictating from the heights of their university cathedras, were accomplices to ending German monasticism. They were useful idiots in the promotion of something very much at odds with the tradition, anthrax for the Church as I say, by comparison with the Romantic revival or Ultramontanism. 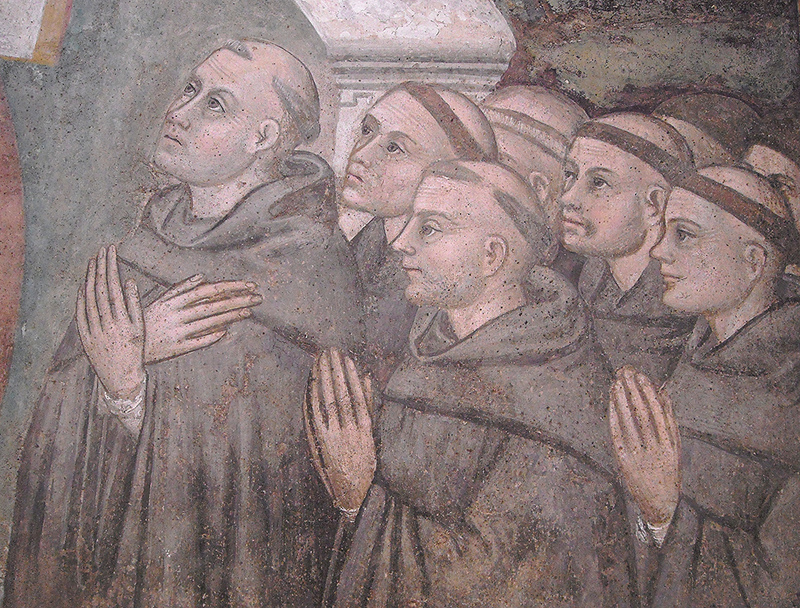 "The period during which no monastic life was detectable lasted for almost a generation. However, because of numerous heroic monks and nuns who desired to remain faithful to their vocation, an underground monasticism arose." (page 228). May the Church in our time be spared the caprice of similar illuminati, people eager to promote themselves at the expense of religion in humble obedience to the grand Tradition which holds us close to the Bridegroom in an ordered life punctuated by the Psalmody, which gives voice to the sentiments of the Bride's devoted heart.